Coursework will be completed within the first 16 months, with the final four-month term dedicated to capstone project. This course is the foundation for the future specialized MFin finance courses. It introduces the field of finance, provides an overview of its components, examines connections between different areas of finance, and most importantly it provides the analytical, conceptual, and empirical foundations of modern business finance. In addition to the fundamental introduction, the course will develop the tools and skills students need for their future finance classes. These include: (i) advanced time-value of money computations; (ii) valuation methodologies for projects, firms, and financial securities; (iii) risk-return theory and portfolio theory; and (iv) foundations for corporate financing decisions. First, students should expand their ability to analyze and interpret financial statements and notes and develop an understanding and appreciation of the various incentives and pressures impacting on financial reporting decisions. Second, students will be exposed to current research on the importance of accounting information in capital markets (e.g., accounting based anomalies, the effects of disclosure on cost of capital, etc.). Third, students will apply this knowledge to the analysis of firm profitability, risk, and valuation. Throughout the course, the emphasis will be on examining the topics from the perspectives of external users of information, rather than preparers. The course takes a multi-discipline approach and integrates material across accounting, economics, finance, and strategy. Overall, the course emphasizes analysis of information rather than the mechanics of accounting. However, in order to conduct any meaningful financial analysis, you need to be familiar with basic accounting (debits/credits, t-accounts, etc.). Students are thus assumed to have a basic familiarity with financial statement preparation using accrual accounting. This course will provide the tools to analyze and understand various bond structures, simple yield curve strategies and the different fixed income products across the credit spectrum. The use of real world examples and mini-cases will link the theory with both practice and application. Online pre-course material needed in preparation for RSM 4322 – Applications of Derivatives Products. Course objectives are: to develop skills for quantifying risks; to evaluate risk and return modeling for forecasting risks and the associated potential returns; to identify and quantify parameter and model risks; and to develop trading/investment strategies taking explicit account of these risks. We will use learning-by-doing exercises to achieve these objectives. The first part of the course emphasizes developing Excel applications linked to actual financial data. 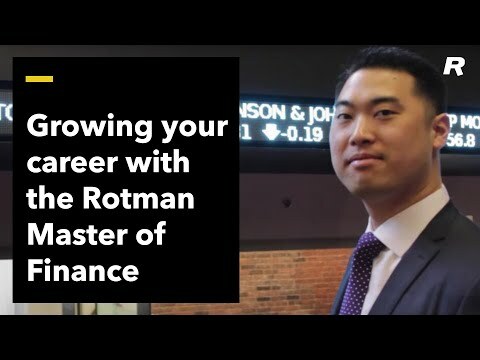 We then apply what we have learned using experiential learning cases on the Rotman Interactive Trader platform for which our Excel applications will be linked to data from a simulated market, that is, data generated by the class participants. These interactive cases are analogous to using a flight simulator to learn to fly except in our case we are learning how to make effective financial decisions taking account of uncertainty about the future. This course examines the valuation of derivatives in more depth than earlier courses. It discusses stochastic calculus, the Black-Scholes analysis, numerical procedures, exotic options, the equivalent martingale measure approach, the standard market models for valuing interest rates derivatives, the construction of trees for the short rate, the LIBOR market model, non-standard swaps, and real options. The aim of the course is not to prepare students for a "quant" job. Instead it is to put students in the position where they can communicate with and manage the technical staff that manages the pricing and risks of a derivatives business. Over the last two years, the close two-way connection between the world of Finance and the broader macroeconomy has become all the more stark and clear.In this course, the basics of international macroeconomics are surveyed with special emphasis on the connections to Finance. Among the topics covered in this course are growth and business cycles, monetary policy, capital flows and exchange rates, forecasting, the use of data, and economic modeling. The focus will be on developing frameworks with which finance professionals can make sense of macroeconomic data and news, policy controversies, and general economic debates. This course deals with the way companies, particularly financial institutions, manage risk. It covers credit risk, market risk, operational risk, liquidity risk, and model risk. Bank regulation is discussed. In particular, Basel II, Basel 2.5, Basel III and Dodd-Frank are covered. Other topics include methods for monitoring volatilities and correlations, copulas, credit derivatives, the calculation of economic capital, and RAROC. The final class integrates earlier material by looking at what we can learn from the big losses that have occurred at financial and non-financial institutions in the last 20 years. Innovations in payments, regulatory oversight, lending and borrowing, stock trades, and wealth management are helping to make financial services more efficient while potentially opening up new sources of risk. In this course, discover how technology is disrupting the way financial markets operate. This course provides an introduction to the financial theory and analytical tools for making investment decisions and for understanding how prices are determined for stocks and bonds. The course covers a broad range of topics including risk-return characteristics of important financial instruments, stock return predictability, asset allocation, factor-based risk adjustment, stock valuation techniques, technical analysis, fundamental analysis, market efficiency, anomalies, evaluation of portfolio managers, term structure of interest rates, and bond portfolio management. The applied portfolio management course will look at topics in portfolio management that go beyond the null of efficient markets. Topics covered will vary but may include alternatives to mean variance optimization such as the growth optimal portfolio, the role of active versus passive management and the relevance of recent anomalies that go under the rubric of inefficient markets or behavioural finance. Assignments will be done in groups back testing various investment strategies. The emphasis is on the interface between current investment research and real world investment strategies. Get set for a great future! Note: On occasion, the curriculum may be altered to better reflect new developments in the financial markets. The starting dates, schedules and titles of the courses are subject to change.